You’re driving along, and suddenly you see blue and red flashing in your review mirror. Your heart sinks. Most of us have been there, whether for speeding, running a stop sign, or some other traffic violation. Sometimes, we know that we committed the violation. Maybe we were in a hurry, or maybe we performed a “California stop” (rolling through a stop sign). Other times, however, it might have been an honest mistake. 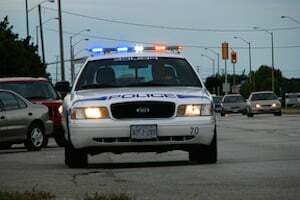 If you get pulled over-whether for a mistake that was intentional or not-there are a few things you can do to minimize your chances of getting a ticket. Police officers aren’t required to give a ticket in every situation, which means that you could leave with a warning. Be polite. Don’t argue with the officer. Answer their questions politely, though you shouldn’t admit guilt. Use “sir” or “ma’am” when appropriate, and never call the officer names. Acting belligerently will only give the officer a bad impression of you, making it less likely that he or she will act with sympathy and let you off with a warning. Be honest. While you shouldn’t admit guilt, it’s important not to give fake excuses. Excuses like “My wife’s having a baby” only work in two scenarios: your wife is actually having a baby, and the movies. These lies won’t prevent you from getting a ticket, as officers can easily see through them. Don’t name drop. It doesn’t matter who you know. Most cities have laws that prohibit the firing of an officer for giving a ticket to, say, the mayor’s son, so telling the officer that an important person is your close friend isn’t going to save you from a ticket. In fact, it will probably only irritate the officer. Stay calm. When an officer approaches your car, he or she has no idea who you are. Are you a polite citizen who made a simple mistake? Or are you an angry, violent person who has a gun? Make sure that you give the right impression. After you’ve pulled over, put your hands on the steering wheel. If it’s dark out, turn on the interior lights. Don’t make any sudden movements while reaching for your license. Staying calm and cooperative during the traffic stop helps the officer to be calm and cooperative with you, as well. Of course, none of these tips are a guarantee that you can drive away with a warning. But it is a good idea to follow them. If nothing else, they can help prevent a routine traffic stop from escalating into a much more serious arrest.